Since the beginning of 2016 the Joanne Foundation is also aiming at the healthcare of the single, chronically ill and elderly people in Ndegeya. We contacted a nurse living in Ndegeya, called Kakande and together with Apollo he is helping us to take the healthcare in Ndegeya to a higher level. Besides medical care Kakande also wants to concentrate on preventive health education, we call it “Health Education Plan”. He has written a plan with a number of goals he wants to reach (with the financial help of the Joanne Foundation ). A varied diet may contribute to the prevention of diseases. In spite of the fact that good, nutritious food is often not available and too expensive for many families in Ndegeya, he wants to emphasize that variation in food may have a possitive effect on health. Many diseases are caused by one-sided food like “posho”, a sort of corn porridge. Drink clean and boiled water. Clean drinking water is a necessity of life but unfortunately it is not available to the people in Ndegeya. There is no tapwater, bottled water is too expensive so the people often drink rainwater. Kakande wants to stimulate the peope of Ndegeya to boil the rainwater before drinking it and keep it in a clean jerry can which is only used for clean drinking water. Hygiene. Due tot he fact that there are no toilets Kakande advises the people of Ndegeya to dig good latrines and wash their hands with soap after using the latrines and he tells them the dangers of not doing this. 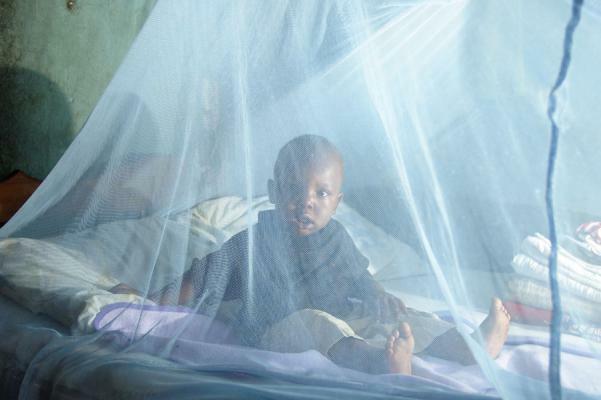 Prevention of Malaria. Nurse Kakande tells the people about the importance of using mosquito nets to prevent malaria and he advises them to use well impregnated and undamaged nets. Besides, he explaines that mosquito larvae develop in puddles so it is important to prevent the presence of puddles round the house. Nurse Kakande gives this kind of health education for instance during parent nights at the local primary school. The parents are very happy with his advice. 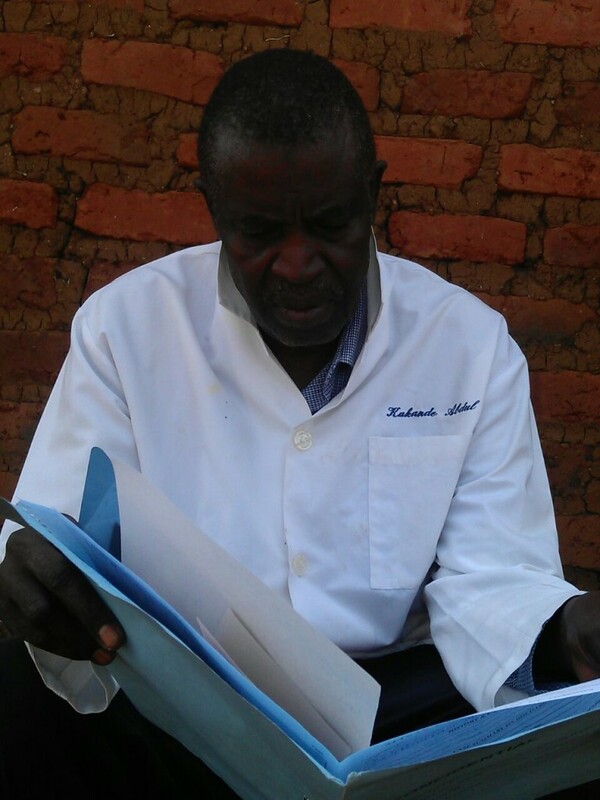 Not only does Kakande give health education, he also gives practical medical help. He concentrates on chronically ill elderly people who suffer from diabetes, high bloodpressure, arthritis, HIV, CARA and gastrointestinal disorders. These people don’t have the money to pay for medication so the Joanne Foundation hopes to be able to help Kakande finacially so he can help the elderly people. 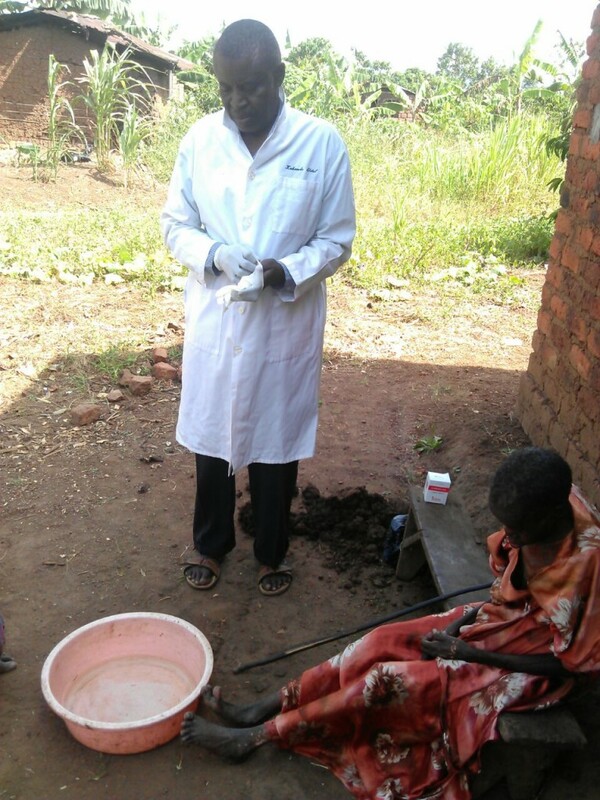 Every month nurse Kakande reports thoroughly about his activities. 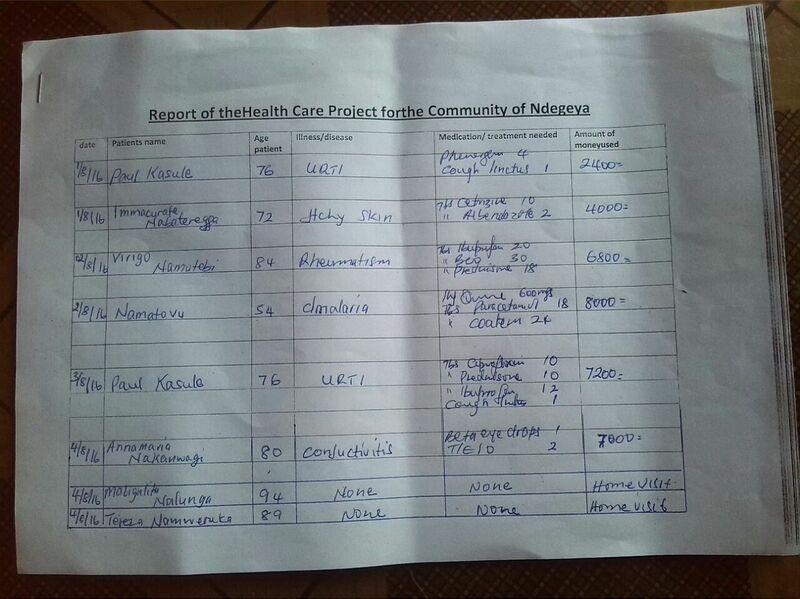 These reports give us an insight into the health problems in Ndegeya which will enable us to help Kakande do his job properly.